The logo of ING bank is pictured at the entrance of the group's main office in Brussels, Belgium September 5, 2017. ING Groep said on Sept. 11 its chief financial officer would step down after the Dutch bank admitted to failing to prevent money laundering for years and agreed a 775 million euro ($900 million) settlement with Dutch prosecutors. Koos Timmermans, who was appointed CFO in 2017, will remain in his job until a replacement is found, the company said in statement. He held key managerial positions at the company's Netherlands banking operations during 2010-2016, the period prosecutors examined. On Sept 4. Reuters reported that Dutch financial crime prosecutors said ING violated laws on preventing money laundering and financing terrorism "structurally and for years" by not properly vetting the beneficial owners of client accounts and by not noticing unusual transactions through them. 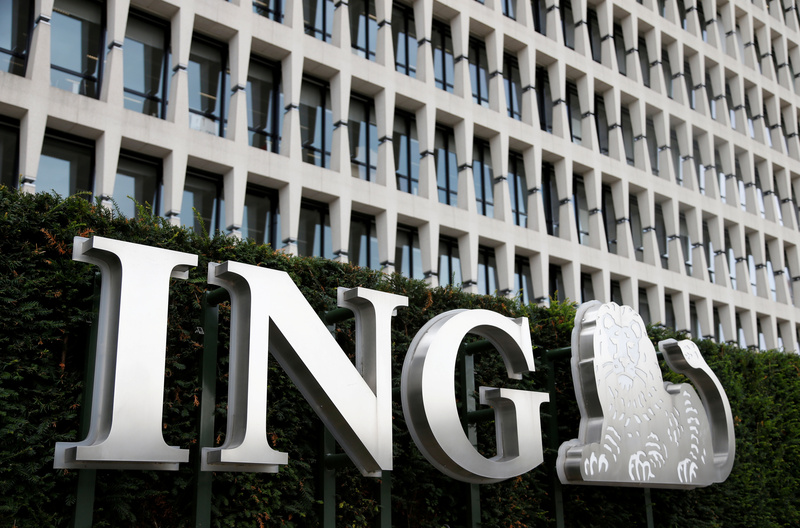 ING, the Netherlands' largest financial services provider, said it was impossible to estimate how much money was laundered through its accounts, but lead prosecutor Margreet Frohberg told Reuters "hundreds of millions of euros" were involved.